You talk and it types: fast and accurate transcription of spoken words. Which solution is best for you? 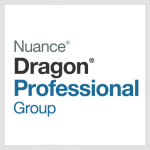 Dragon Professional Anywhere is an enterprise, off-premise or on-premise speech recognition solution empowering business professionals to create high-quality documentation – all by voice. Enterprises can streamline repetitive and manual documentation processes, while saving time for IT staff and boosting productivity and efficiency for busy professionals across work teams. Dragon Anywhere is a professional grade, cloud-based dictation app (on iOS or Android devices) for busy professionals who want to work faster and smarter using their mobile device. Dictate and edit documents of any length by voice, quickly and accurately. Click here for information. 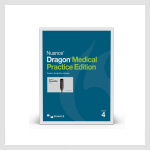 Volume Licensing offers you a lower cost of ownership for multiple copies of Dragon software (Professional Group and Medical Practice Edition). Support, upgrade assurance and training available to suit your organisation's needs. Click here for information.